When General Muhammadu Buhari made a pact with politicians from diverse backgrounds with little similarity in ideology – if they had any – to emerge the APC flag bearer and subsequently the president, he cannot possibly claim that he didn’t anticipate a bumpy ride. Likewise, when Bukola Saraki and his henchmen sabotaged their party and successfully carried out a ‘coup’ to assume the Senate leadership in cahoots with the opposition they surely would have expected many battles in the fore. I had posited then that for Saraki, winning a battle does not in any way translate to winning the war as it was clear to the discerning that tougher battles lay ahead. That it was an action which also resulted in the emergence of the PDP’s Senator Ike Ekweremadu as the Deputy Senate President made it more humiliating for the APC and left the intrigues ahead to one’s imagination. Saraki can rightly be described as well ‘connected’ and battle-tested; his rise in politics started with his appointment as Obasanjo’s aide on budget matters. From thereon he only looked forward and propitiously employed a combination of sagacity and ruthlessness to rise rapidly. However, many of his political battles were fought when he had immunity as a governor. As the Senate president, a higher position in the larger picture so to say, that privilege is no longer available and his fate unlike before is not entirely in his hands. All the same, credit must go to the medical doctor turned politician for surviving like the proverbial cat with nine lives. Basking in the support of colleagues that cut across party lines, he has managed a vice-hold grip on the Senate whilst surviving the onslaught of a protracted CCT trial and more recently some police investigations. It is even more impressive when you consider that while many have come to regard our NASS as the bulwark of the corrupt, populated by ex-governors and ministers with questionable records, Saraki still commands a huge followership in his home state. He will definitely be re-elected to the red chamber even if he contests as an independent candidate. But the Senate President has been in the political scene long enough to know that a Nigerian President is an all-powerful demi-god. Having watched Obasanjo remove Senate Presidents and Governors, he knows the arsenal at the disposal of any occupant of Aso Rock. Even men like Anyim, Na’Abba, Nnamani, and Orji Uzor Kalu who successfully contained Obasanjo’s often fractious belligerence are yet to fully recover from the overwhelming political trauma that executive pressure can bring to bear on a perceived foe. That President Buhari though a stubborn soldier, is not disposed to the do or die tactics of his fellow jackboot, Obasanjo, is obviously a political strategy ingeniously conceived. I believe the Senate President knows too well that but for this disposition of the president, he would have been long gone. His supporters may disagree but he knows this and his traducers know too. Now let us briefly examine why Buhari has accommodated the Senate President. After the national assembly leadership elections, the division among the various parties that made up the APC became evident. 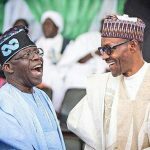 President Buhari’s CPC took charge of the executive and Bola Tinubu’s ACN maintained a similar grip on the party leadership while Saraki and his nPDP group pocketed the legislature. When Buhari refused to meddle in that tussle for the NASS leadership, many including yours truly didn’t fully comprehend that the taciturn general was only employing this golden rule. If he had intervened then, perhaps Bola Tinubu and his men would have become too powerful for him by having control of the party and the legislature. He maintained a mature neutrality while not losing sight of the need to have both groups sucking up to him. A sort of balance -if you like- that ensured he remained the lord and master. However, as the battle for 2019 intensified the need to pander to the whims of the party power brokers became more critical for the President’s re-election bid because it is only on the party platform that his loyalists can deliver. Obasanjo successfully deployed this tactic against Atiku when he replaced Audu Ogbeh with Ahmadu Ali to take control of the party and checkmate the Vice President’s influence with the lawmakers. Moreover, given our politicians’ penchant for cross-carpeting to contest elections, it would be futile trying to stop those who had already lost out in the local congresses. President Buhari still enjoys a cult followership, especially in his Northern base. A cursory look at his record haul of votes even when the PDP was still writing election results in Ota farms clearly accentuates his popularity in the region. That is not likely to change now he is in power despite the challenges facing the country, at least not significantly. His appointments into INEC and the security agencies equally indicate that the man will not gamble away a hard-fought presidency. 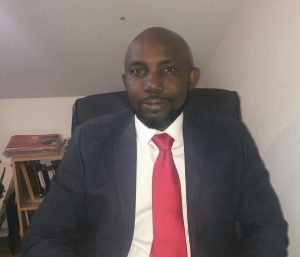 So as the political fireworks escalate towards the February 2019, the fallback option to the PDP may offer some hope for the political lightweights to have a shot at retaining their positions in 2019 but the gladiators are actually battling for relevance in readiness for a post-Buhari Nigeria in 2023. 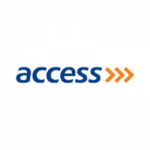 Previous article Access Bank Internship.